On the Reykjavik Street Food Tour, you will get fun facts about our history through the various foods and snacks we will indulge on as we walk together through the city center of Reykjavik. 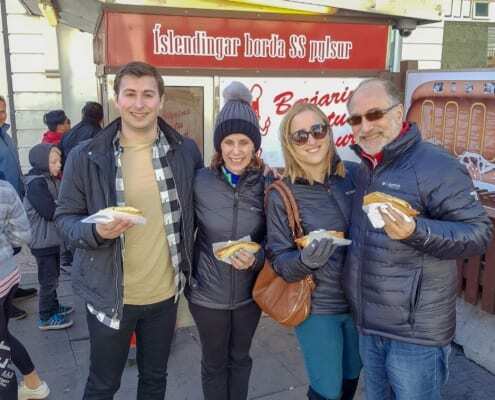 The food stalls and places we visit on our tour is a little secret but you can be sure we visit the one and only Icelandic Hot dog stand during our tour. The tour runs every day at 18:00 and it’s an easy walk between the places and food stalls we visit. With no more than 12 people on a tour, you’ll be able to ask any questions about Icelandic food and culture, plus make a few new friends. And, you certainly won’t leave feeling hungry!